BAIKONUR COSMODROME: The two-man US-Russian crew of a Soyuz spacecraft en route to the International Space Station was forced to make a dramatic emergency landing in Kazakhstan on Thursday when their rocket failed in mid-air. 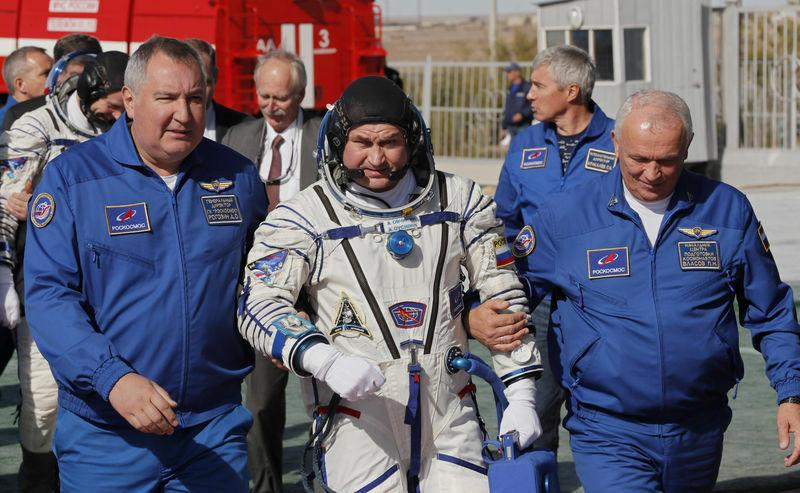 US astronaut Nick Hague and Russian cosmonaut Alexei Ovchinin landed safely without harm and rescue crews who raced to locate them on the Kazakh steppe quickly linked up with them, NASA, the US space agency, and Russia’s Roscosmos said. Thursday’s problem occurred when the first and second stages of a booster rocket, launched from the Soviet-era cosmodrome of Baikonur in the central Asian country, were separating, triggering emergency systems soon after launch.